With the increase in the need for performance-based advertising, marketers require a solution that would give them a fuller set of options to manage advertising on Twitter. At the first #Twitter4Performance event in MENA, we introduced some of our most strategic ads API partners in the region; with presentations given by a select group of API partners who shared success stories of how their tools can benefit advertisers in the region. The Twitter API partners included: MakeMeReach, Sprinklr, Audiense and 4C. Following the global launch of Twitter Ads API, we launched the Twitter Official Partner Program in 2015, a platform which enables select API companies to innovate, add value to advertisers, and deliver performance that aligns with marketers’ objectives. Through the program, advertisers work with the partners to increase returns on advertising campaigns, gain brand insights, scale customer care and more. Showcases included a case study by Audiense, which has integrated with the Gnip APIs and third party data source IBM Watson to enrich 850+ million Twitter social profiles with over 150 segmentation criteria. This integration helps drive (1) campaign management & analysis (by building dynamic audience segments) and (2) segmentation & intelligence (to provide personality and emotional analysis on Twitter data). Additionally 4C presented its technology that enables advertisers to connect with their Twitter audience across screens, as it allows any advertiser to sync in real time with specific TV commercials and programs automatically delivering Twitter Ads within seconds. We’re proud to see our partners implement Twitter Ads API with brands in the region to help them achieve an increase in ROI on their advertising campaigns, gain brand insights, scale customer care, and overall get more value for their investment. 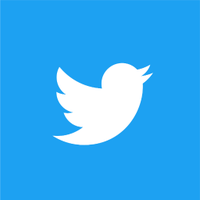 In the Managed Service model, the Twitter API partner works very closely with agencies and advertisers to fully manage the strategy, activation and wrap up of a brand's advertising efforts. As for the Self Service model, agencies and advertisers whitelist the partner technology and manage via the software themselves. We look forward to bringing more brands on-board to make their campaigns more easily manageable.